We are thrilled that Ice & Easy chose Impression to take their new brand and packaging and give it a new home online! 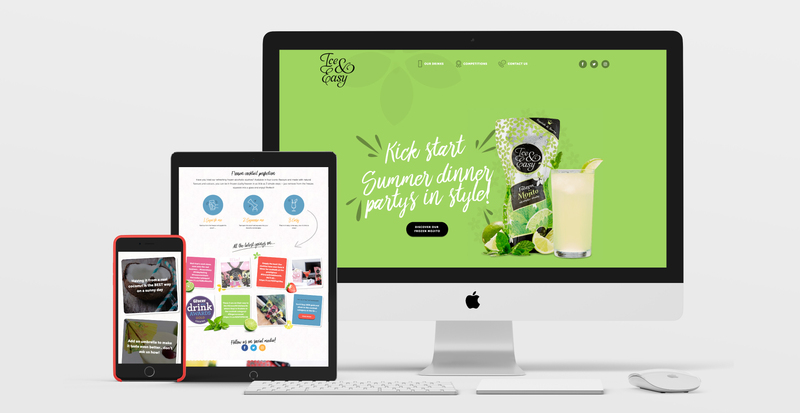 The new website allows users to browse the product range, see what the brand is doing from live social media streams and provide consumers with new and fun ideas for how they can drink the slushies. The brand has already roared to success at the 2016 Grocer Drink Awards winning gold and silver in their respective categories. We had a great time on a 2 day shoot capturing the product in a picnic and back garden party scenario, luckily the great British weather held out for us and we got some awesome shots! A full case study for the project can be seen here or you can see the website for yourself here.